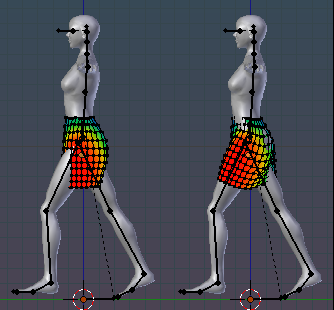 I assume you have just generated the Weights for your mesh by using Weight from Bones as described in the in the previous chapter (you used Bones as the weight source). 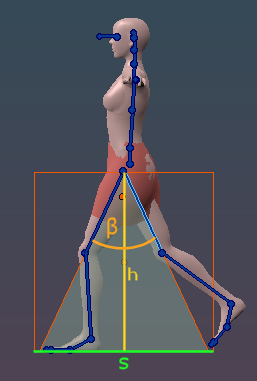 Blender does a rather good job on automatically determining the weights. However the results are sometimes not yet perfect. 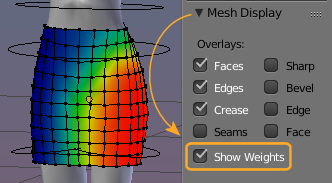 So the very first thing that you must do now is to check if the Mesh behaves well and follows the animation of the armature. Here are a few tips for getting started. 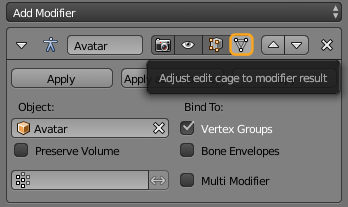 Now you can scroll through the list of vertex groups and you instantly see the current weight group displayed on your mesh. In the image i have selected the mPelvis weight group. 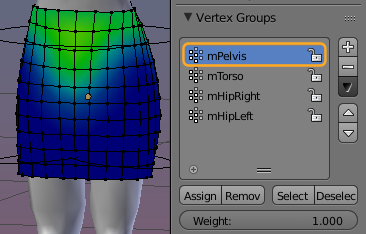 You see the weight map display changes from the mHipLeft weights to the mPelvis weights on the skirt. While in Weight Paint mode, you can also Pose the mBones. But beware: Avastar’s blue deforming bones can only be rotated! they can not be moved. Your poses are well defined: So you can step to a certain time frame and get the pose for that frame. 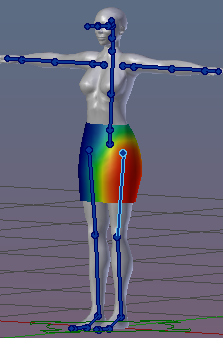 So you can quickly check how a certain change in the weight maps influences other poses. You can play the timeline: you can even edit your mesh while the animation runs. There are thousands of ready made Animations available for Second Life. And Avastar provides a feature to import them and add them to an Avastar rig. The procedure might first look a bit tedious, but you will quickly find it working like a charm.